Hello my dearies! How's everyone doing? May is coming to an end starting next week. I was happily enjoying myself attending events with my loved ones and totally forgot that June is coming soon. Today I am going to review a product which I won from SaSa Malaysia Facebook page weeks ago. 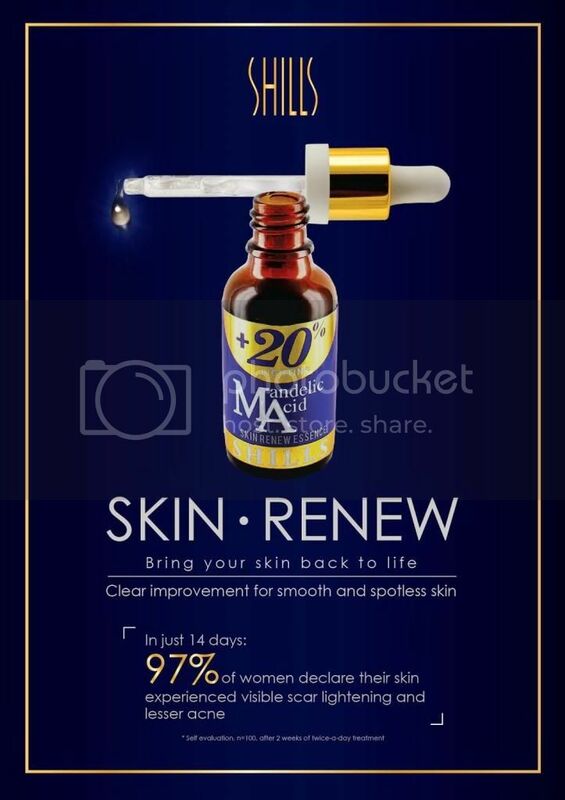 Introducing Mandelic Acid Skin Renew Essence from Shills! This Renew Essence from Shills can bring clear improvement to smooth and spotless skin within 14 days! Can you believe it? It's just 14 DAYS! 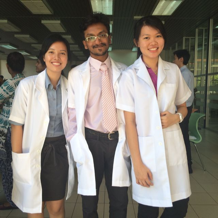 :D 97% of women declare their skin experienced visible scar lightening and lesser acne. 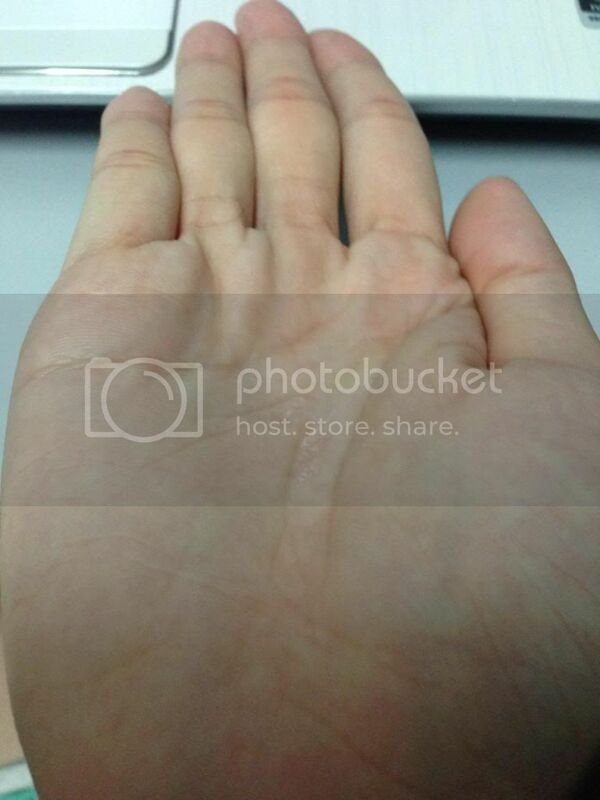 So I put my skin to test to see whether it works on my skin. 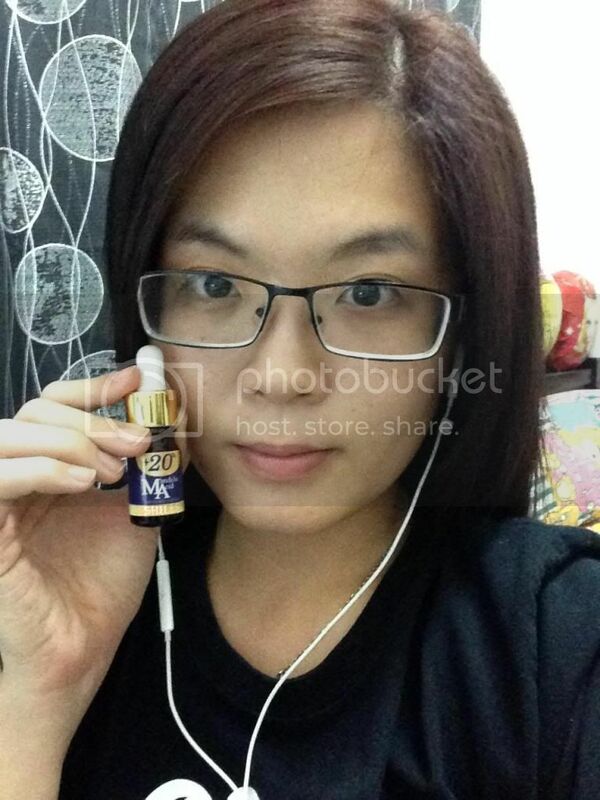 Shills Mandelic Acid Skin Renew Essence can improve different skin problems. Mandelic Acid is extract from bitter almonds and help to increases skin cell turnover, allowing dead skin cell on the surface of the skin to be sloughed off more quickly to reveal healthier cell underneath. It contains 20% Mandelic Acid that gently exfoliate the skin surface leaving a smooth, radiant and youthful skin. This is how my skin looks like before using out the Renew Essence. Hmm. 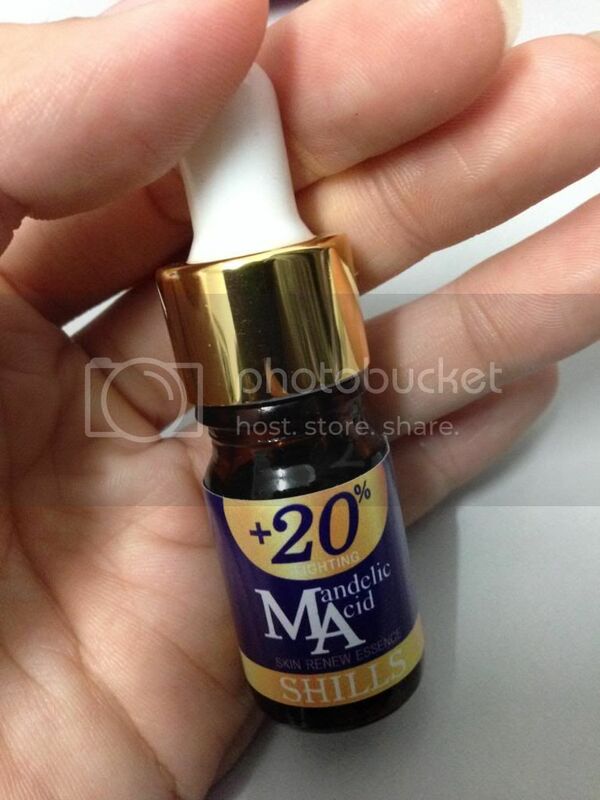 Shills Mandelic Acid Skin Renew Essence in miniature bottle. Shills Mandelic Acid Skin Renew Essence can improve difference skin problems, including dead cells removal, pores impurity and skin firmness. It can also whiten the skin, making skin look flawless. 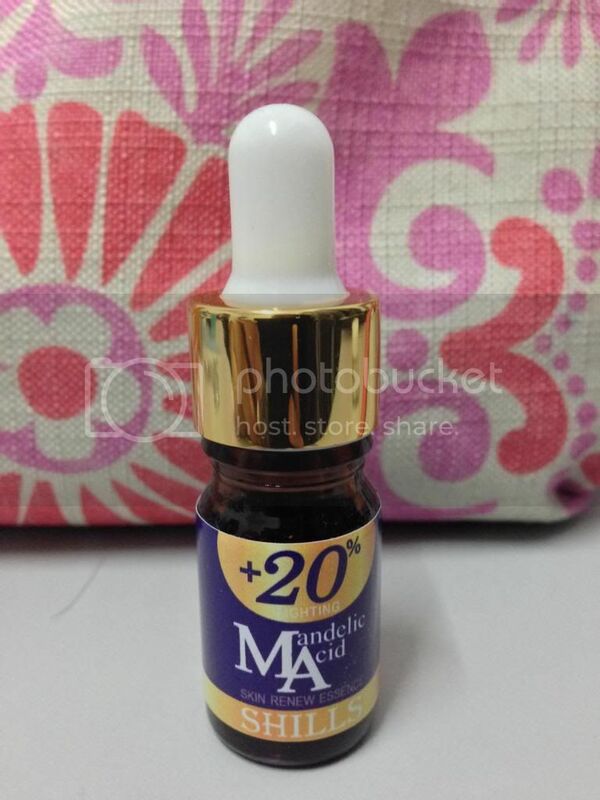 Mandelic Acid is a gentle acid which can be applied onto the skin. This Renew Essence comes with a small pump to pump out the essence from the bottle. 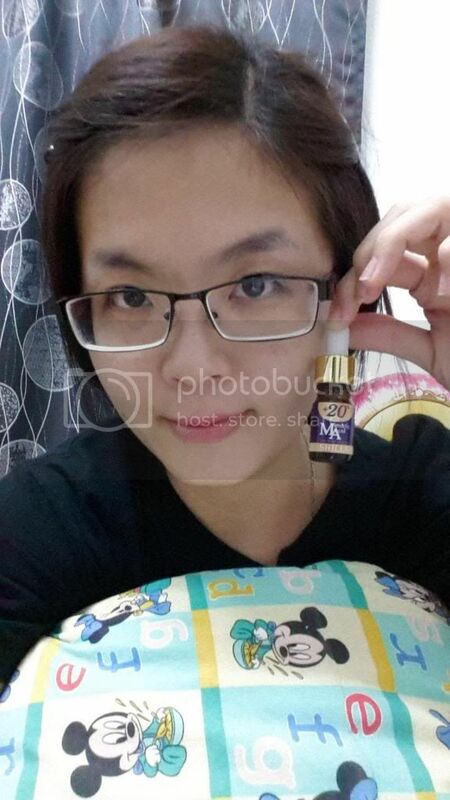 Two drops of the renew essence is possible enough for my skin as I worried that it might turn oily on my face. 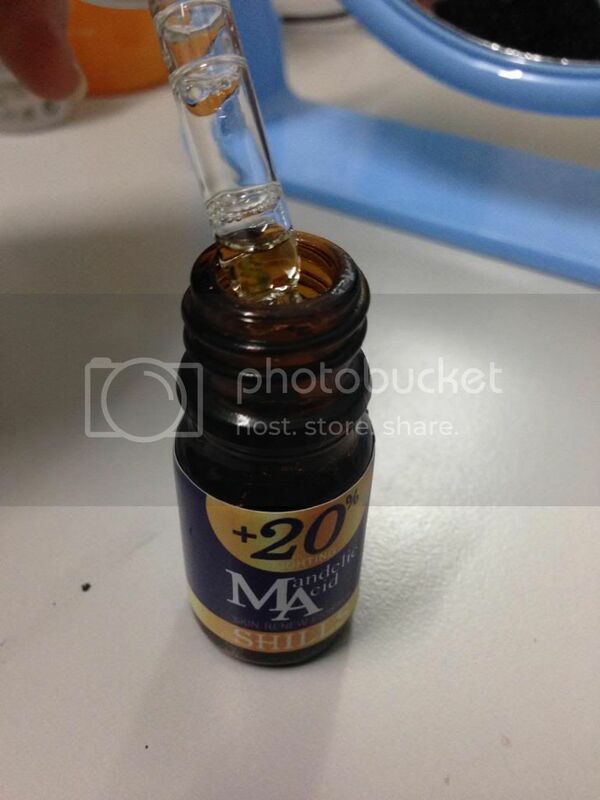 The texture of the essence was a bit oily for me when I placed a few drops onto my palm. Then apply onto whole face or on acne area after toner. 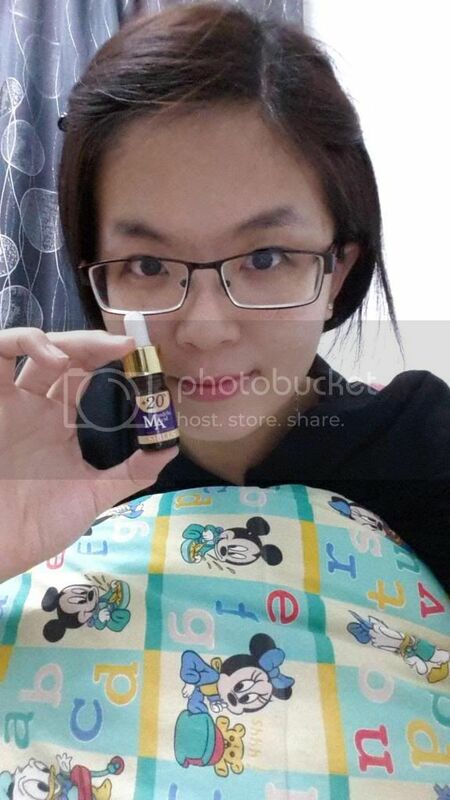 Once I applied the essence on my face, it did not create some oily feeling on my skin at all. My skin turns visibly smooth after one application. (: For the first few days of the application, I noticed that my skin started to peel off around my lip area causing it to dry and chapped. I put on lip balm on my lips to provide moisture to my lips and hydration cream around my lip and nose to prevent my skin from drying out. However, after 14 days of application, I noticed that my skin become noticeably brighter and the spots on my skin are getting lesser than before. Here's the results after 14 days of application.